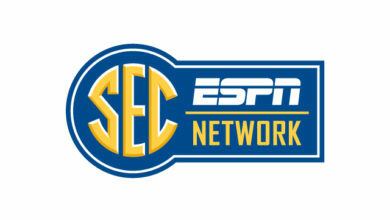 DIRECTV to Provide New SEC Network on August 14, 2014 - ESPN Press Room U.S.
EL SEGUNDO, Calif. and BRISTOL, Conn., August 4, 2014 – DIRECTV and ESPN have entered into an agreement for DIRECTV to provide the new SEC Network to fans and followers of the Southeastern Conference when the network launches Aug. 14. The first college football game on the new network will air Aug. 28 featuring #20 Texas A&M vs. #9 South Carolina. The SEC Network will deliver at least 45 exclusive SEC football games this season. Recently released pre-season polls rank seven SEC teams in the college football preseason top 25, ensuring consistently close, competitive match-ups on SEC Network. The network will also serve as an all-access pass to nationally competitive events, news and information, expert analysis, classic games and in-depth features on the most storied conference in college athletics. “With the launch of SEC Network just days away, we look forward to serving these legions of current and prospective students, alumni and loyal supporters with quality content and coverage nationwide,” added Justin Connolly, ESPN Senior Vice President, College Networks. DIRECTV (NASDAQ: DTV) is one of the world’s leading providers of digital television entertainment services delivering a premium video experience through state-of-the-art technology, unmatched programming and industry leading customer service to more than 38 million customers in the U.S. and Latin America. In the U.S., DIRECTV offers its 20 million customers access to more than 190 HD channels and Dolby-Digital® 5.1 theater-quality sound, access to exclusive sports programming such as NFL SUNDAY TICKET™, Emmy-award winning technology and higher customer satisfaction than the leading cable companies for 14 years running. DIRECTV Latin America, through its subsidiaries and affiliated companies in Brazil, Mexico, Argentina, Venezuela, Colombia, and other Latin American countries, leads the pay TV category in technology, programming and service, delivering an unrivaled digital television experience to more than 18 million customers. DIRECTV sports and entertainment properties include two Regional Sports Networks (Rocky Mountain and Pittsburgh), and minority ownership interests in Root Sports Northwest and Game Show Network. For the most up-to-date information on DIRECTV, please visit www.directv.com. The Southeastern Conference and ESPN have signed a 20-year agreement through 2034 to create and operate a multiplatform network that will launch August 14, 2014. The new network and its accompanying digital platform will air SEC content 24/7 including more than 1,000 events in its first year. The network will televise 45 SEC football games, more than 100 men’s basketball games, 60 women’s basketball games, 75 baseball games, and events from across the SEC’s 21 sports annually. Programming will also include in-depth commentary and analysis in studio shows, daily news and information original content such as SEC Storied, spring football games, and more. Hundreds of additional live events from various sports will be offered exclusively on the digital platform.